You may leave a comment once per day during our sneak peeks, which start September 2nd. Then on Friday, September 5th (the day of our BIG RELEASE and party) I will draw a name randomly from the first three days entries and announce the winner of the set that morning (so you know if you're getting it free that night or need to go shopping!) ;) as well as show you a project made with it, along with providing info on the next candy offering! * (It is a prize package that has never been offered here before, but it's a BIG one! ) There will be multiple ways to enter that one, with the winner being announced the following Monday. I am so excited for all this fun stuff, so please plan on coming to play every day! You like so far? Stay tuned for part 2! Time Again to Rock the Vote! 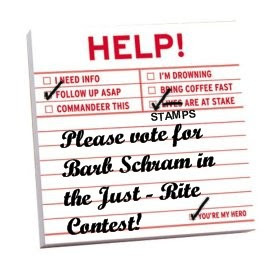 Go to this link to check out the projects and cast your vote for that adorable tic tac toe "Hugs and Kisses" card from Barb* (poll at the top on the sidebar in the link)! 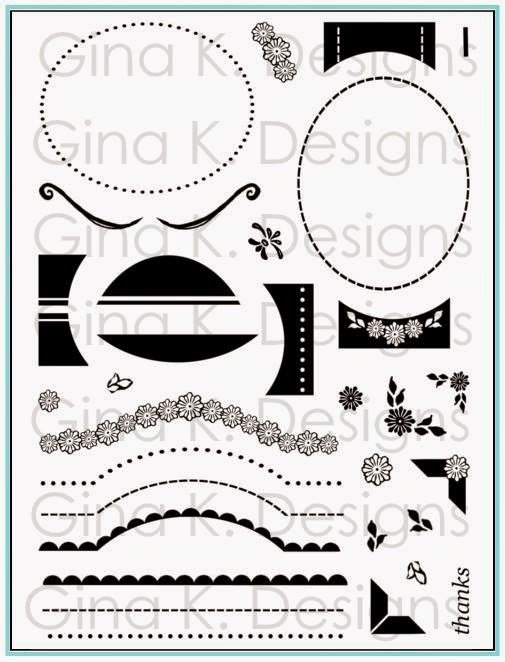 I just think her use of the circle border for placing the x's and o's with the monogram stamper was SO clever/sharp-looking! Voting ends Monday night, be sure to get it in this weekend! Thanks! The Fastest Card I (N)Ever Stamped! My new release sets came today (woo hoo!) which required lots of trimming and left little time for stamping! 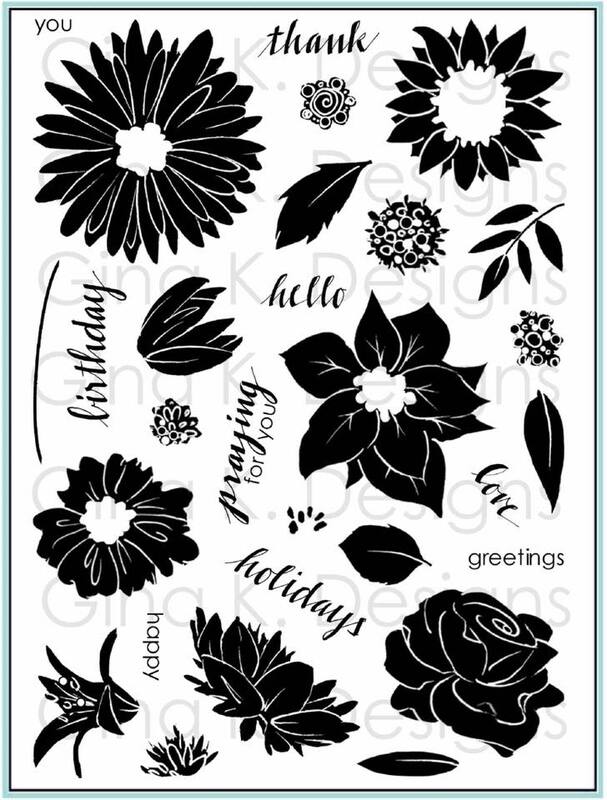 So instead of stamping, I put a few things from my very large order of stuff Gina K just recently added to the store to good use, assembling about the quickest card on earth! ta da! getting better, but I couldn't stop without a quick press of my new Large Flourish Punch (now available) into that same textured DCWV brown, hooking my punched flourish around the brads and tacking the ends down with a little Mono Multi. I LOVE IT! I have so many ideas for this punch (as well as the others) and can't wait to try them all out and show you some little mini tutorials! 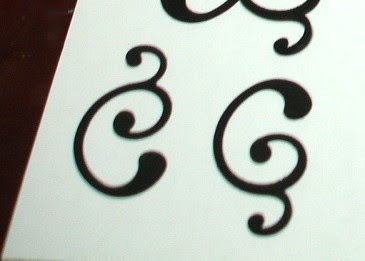 Sneak peeks are just a few days away, with TWO blog candys going on! :) Have a great weekend! 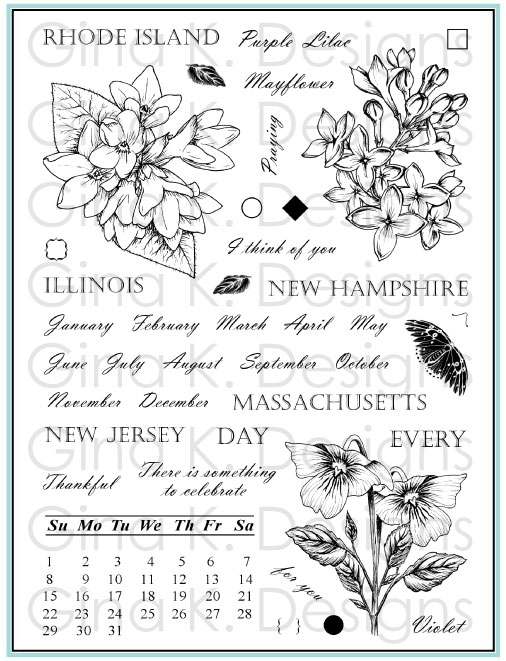 PS REMINDER: This is the final weekend a portion of the profits from "Flowers for Daisy" are going to the American Cancer Society, buy your set NOW to contribute $4 to a cause that touches all our lives! My Guest Designer: Week 5! Still sick, so another short post! Please go seek more "creativi-tee" (sorry, couldn't resist, not to sick to make a pun!!) at Cathy's, and have a great day! How to Have a Birthday that Rocks! Here's a card made with Rupa's elephant from "Whatever Floats Your Boat"(image is colored with Koh-i-Noor pencils and OMS). I had to repeat that cute little ball by grabbing some fun spotted DP and a way to get it moving. The scalloped focal point holds it closed, and when it opens, the focal point tilts back and forth. 2 coordinating DP prints (these are both Basic Grey "Cupcake"), 1 piece cut 4"x 5 1/4", the other piece cut 3 3/8" x 4"
Fold your CS at the score. 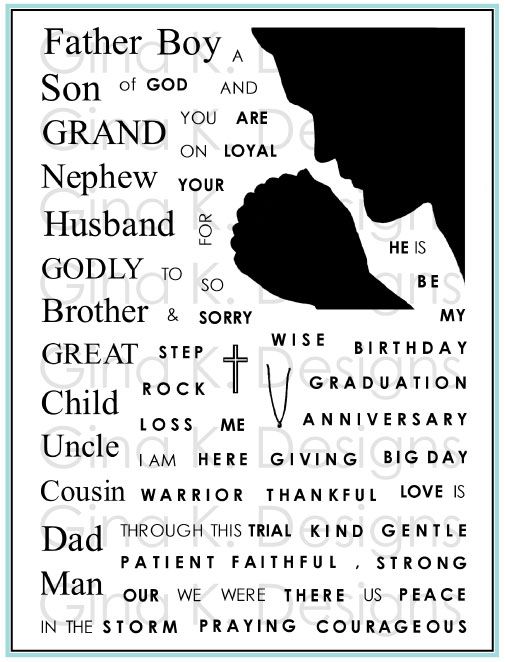 Adhere larger piece DP to the inside of the folded card. 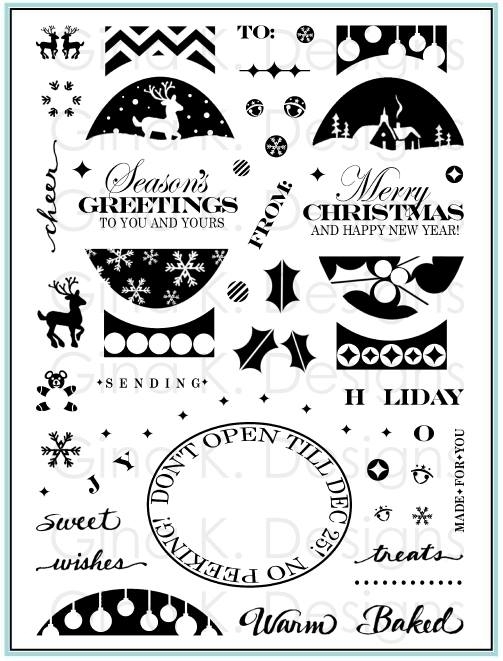 Adhere smaller DP to the front short side of card. 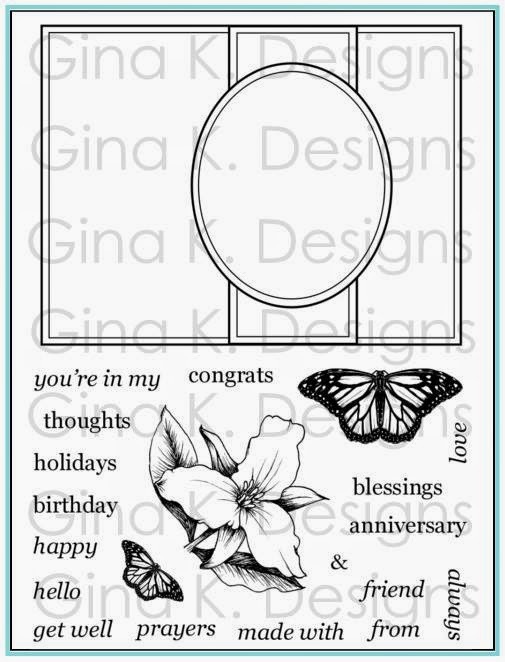 Make a square hole with your hobby blade under the center of where you will attach your focal point to the back of the card, big enough for dimensional to wobble around in. Put one penny with a dimensional on top under the hole, remove backing and adhere a second penny with dimensional on top of that. Remove backing and place focal point on the center. Wrap some ribbon around if desired to add interest. When I have time, I'd also like to make a mix of t-shirts charms in different styles and colors with different sayings to make a little charm bracelet (colored pencils are a nice way to add color to the Polyshrink) Fun for a little girl OR a big girl(like you or me)! 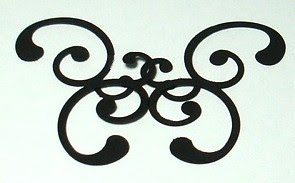 ;) I'm also going to make one to add to a keyring...and maybe a few other projects, too, why stop there? EDITED TO ADD: Speaking of polyshrink, please check out Lee's fantastic earrings made with this set! oh and another set she just did, oh my! ("supporTEE'ng a cause", she cracks me up!!! 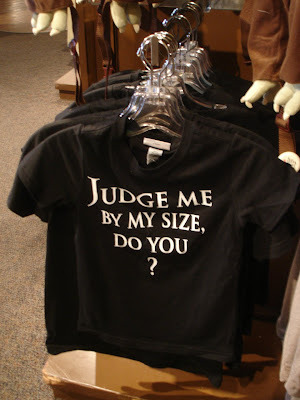 :) Have a polyshrink tee project you'd like to share? Let me know! I had some time to ink up these sweet little monsters from the new My Favorite Things "Monster Squad" today and had to get out every color flock I own for their furry little costumes! This is a 4 1/4" card. I made a mat from the pack in anew apttern(kind of like oilcloth from a diner of wallpaper and added my Kelly Panacci stitch stamp aroud the edges. I made my a notch in each corner for my big white brads with the ticket punch, then mounted on Chocolate Chip and Certianly Celery layers, very pretty matches with the Basic Grey pack. PS I am the Anti-Domestic Goddess IRL, but I can play one on my blog LOL! I came home to 230 emails, oh my goodness! (want to feel really popular? Don't check email for a week LOL! It really beats checking every five minutes and seeing no one's written you for 10 whole minutes, hee hee!) Thanks for all the comments, leaving pics in the guest book, and well wishes for our safe return. I'm almost caught up and have been able to stop by a few blogs and say hey, but not nearly enough. I'm working on it! *Actually I've had a migraine since yesterday and as I write this am starting to get nauseous (uh oh! ), hopefully it's nothing, but I'll accept my fate happily if that's what it is, now that we're home! 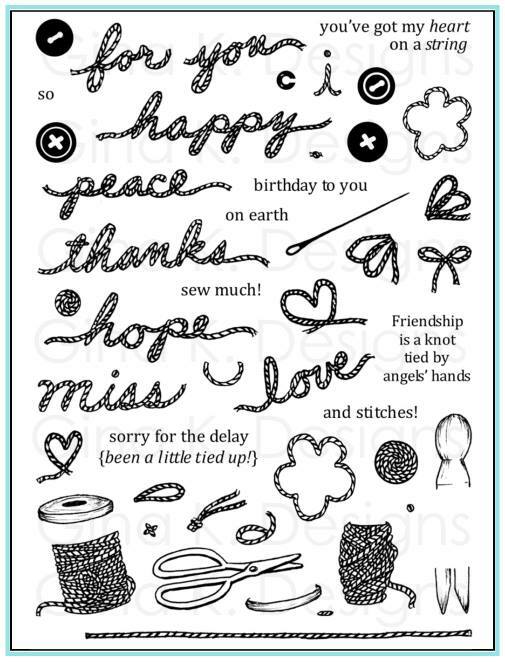 Here is a super simple card I made with a few papers from the Basic Grey's Cupcake pack. 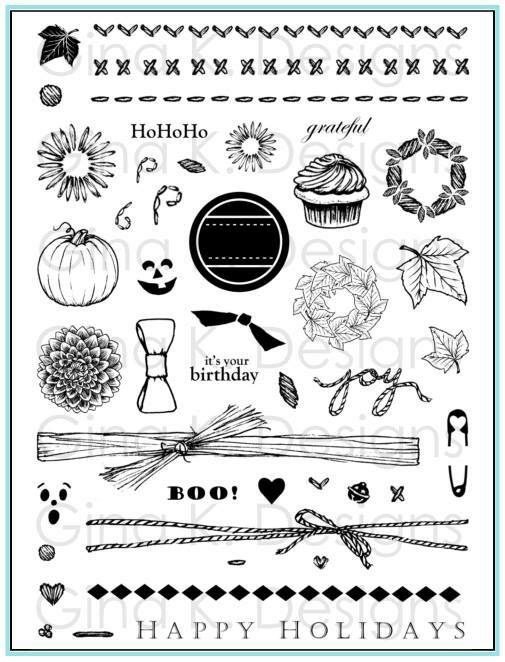 I really like the colors (a mix of rich earthy tones plus pastels) and the whimsical images they use on these papers, not just cupcakes, ice cream cones, bicycles, and as you see here, balloons! (Aren't these fun colors?) I used the distressed red page from this pack to make my tee (and for the red mat behind the balloon DP) I stamped it in the corner of the page so I could pick up a lot of that cool distressing in blue. Gives it such a comfortably worn, vintage tee look. 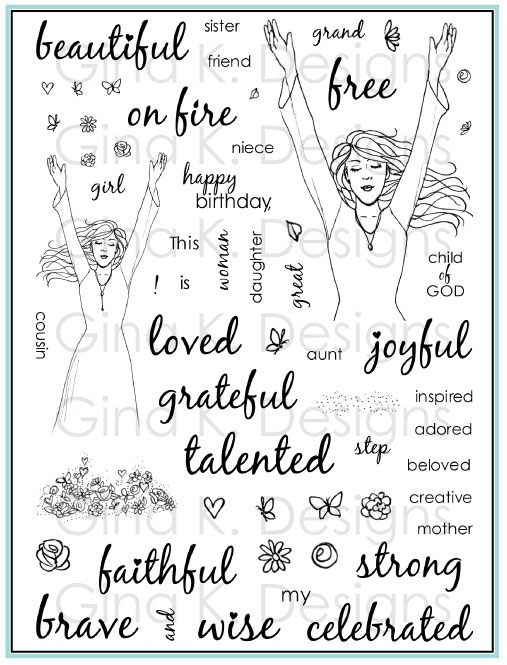 I added "birthday" "girl", and cut out, that's it! I thought it would be more interesting to mount it on a color so I took a yellow distressed page from the pack and die cut a large oval using my Nestabilities to match one of the balloons. I mounted this off center and extending off the top of my square 4x4" card (so it will still fit in an A2 envelope) lined up over one of the strings so it now looks like it's tied and drifting right off the DP! 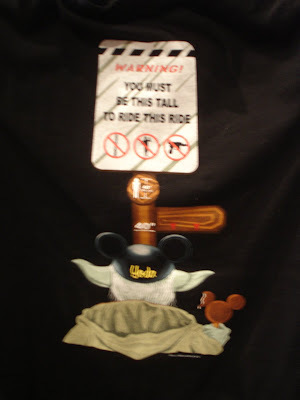 Have a tee-rific day!! Hugs! 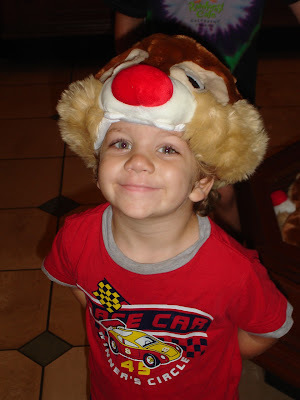 Cathy's "Latest and Greatest" project using "Little Tees", can you help but smile? Isn't her tie-dye technique great here, just doing markers direct-to-stamp in stripes so that they meet/blend in the middle, how that's for a dye job, I LOVE it! She did the same smiley face brads similar to mine just on smaller scale, aren't the minis cute? and made a cusotm medallion with her Just-Rite stamper. I love the the different colored layers and smiley paper, it all just works. The highlight she added with her white gel pen to the shades is perfect, makes them extra cool and a slick feel to the card, and makes the shiny smileys in her DP extra dimensional, they just pop off the page. Now please go see what Cathy is going to surprise you today and leave her some love, you know it'll be tee-rific!! Here's a card I made with a certain "cheerleader" in mind, I wanted to shown how easy it it to alter two tees to make the perfect little cheer outfit! The uniforms at your school may have been different than this, but ours* were sleeveless with a v-neck and a slight v at the bottom. For the tank top, stamp your tee and draw in a v at the neck and diagonal lines to take off the sleeves. Adding another line next to each for piping allows you to add color and make it sportier-looking. Cut out the excess and color. For a simple pleated skirt without having to draw extra lines or mask, stamp the shirt several times, off- setting about a 1/4 inch each time you stamp. Now you can cut around the parts to you don't want! Color and adhere under your top. ...I gotta wear shades!" I love smiley faces (when I write I always put two exclamation points at the end of sentences so I can add a little smile underneath =: ) Remembering how popular this happy face was was growing up I am having a hard time not making it yellow when I'm using it on my "Little Tees"! Guess there's actually a chance now I might finally make a dent in my Yoyo Yellow CS and ribbon LOL! 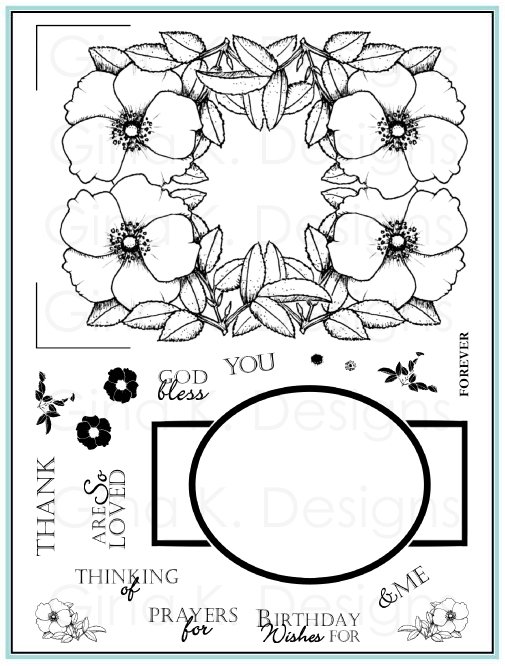 I am loving putting a cut out focal point onto a colored mat instead of white really pops. I figured a yellow round mat framed by black would most appropriate with the happy face theme. And here I lost the ribbon to make it a little more manly. My son just loves this card. (You may or may not have noticed the ringer tee is a little less "shapely" than the short sleeved one and works well for guy cards(plus the ringer style is sportier), Jonathan looked over the set and right away said "this one's the boy shirt" LOL!) In this view you can also see the dimension and shine the Sakura Glaze Pen adds to the "2COOL" and shades. Aren't these brads cute?? I took my big white ones from Hobby Lobby and colored them with my Cadmium Yellow Copic, then drew on a smiley face with a black Sharpie. Thanks for looking, have a nice day!! His & Hers: Write On!! Here I made an anniversary card for my husband, we celebrate 9 years of marriage next month. Although he would never wear matching shirts like these with me somewhere (unless we were on a team or something) I thought having a his and her version declaring our love would be really fun on a card. 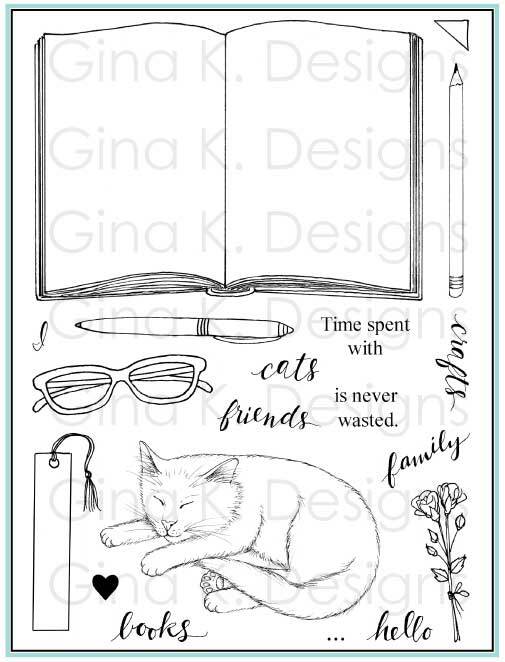 I two-step stamped my solid and outlines tee to make the images, rolling the bold stamp on my gray pad to give it a nice gym shirt (I love those heather gray athletic tees) feel. Christmas Red Stickles gives the heart puffy, sparkly dimension. After stamping my tee on s sheet of Basic Grey "Sultry" pink paper, I added a stripe of black to each sleeve, filled in the collar, and cut out. I pressed a few sticky stars I got from Jody onto the mirror, frame and shirt, then dumped on Dazzling Diamonds glitter after peeling off the plastic backing, it turned out so sparkly cute! To make the star on the shirt show up a little better, I traced around it with my black pen after "glitterfying" it with a pen the same width as the stamp outline to make it all look uniform. Last I stamped star from the same set under it. And here I am holding it up (conveniently hidden behind my camera) I would have loved to have had something like this in my own locker in school (even though I wasn't on dance team!) 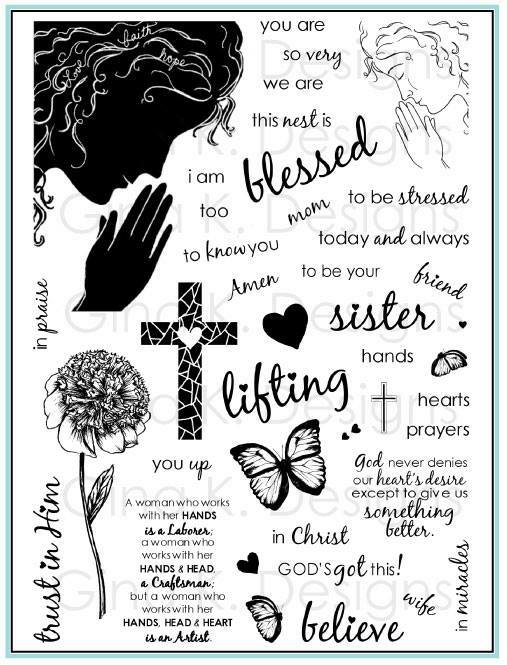 TIP: When I send it to here I'm going to suggest she uses a black permanent marker to add her name or a quote she loves around the frame, doodle or let her friends autograph it , etc, but I really want that part of the project to be her own, to "make it her own". Hope this inspires you to explore the possibilities these tees provide for teens and tweens alike! Happy creating! I'd love to see your ideas! PS I like the shirt kind of offset at an angle like I did here just to be decorative, but a fun/ funny thing you could do would be to put the tee in the middle at the bottom going straight up and down so that when the person looks into it their face is lined up with the collar!! (can you picture it?) HEE!! How's this for some grrrrrrl power?! Kind of a "Hannah Montana" style card, fun for girls of any age who just wanna rock!! May your day totally rock!! My Guest Designer, Week 3: "The Hottee"
That Cathy is just too hot to handle, check out her latest guest designer submission titled "Hottee" (hottee! she cracks me up!) What a hunka, hunka burnin' love!!! 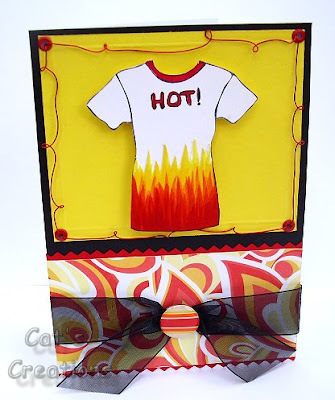 You'd have to ask Cathy if the paper inspired her to do the flames or she just got lucky digging through her cast DP collection and finding this fiery print to match this sizzling shirt she hand- colored with markers. (it's got me thinking of BMX racing and flame broiled burgers at the same time LOL!) Anyway, she is having way too much fun with this set, don't you think?! (did I say "too much fun"? you're right, not possible!) I love that she used this zig zag pinking edge for the bottom and border (adds to the heat!) and the red wrapped wire makes the whole project a little more "twisted"! ;) She has a tee project on her blog today too, don't forget to check it out! 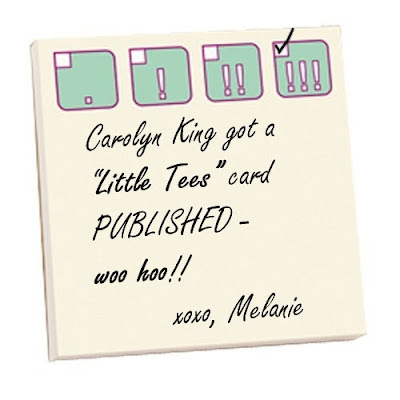 So, has sassy Cathy brought out the "Little Tees" in YOU yet??? Email me your favorite tee creations or send me a link to them if you post them on your blog or SCS) You just might be the one to find your artwork showcased in my Guest Design Spots in September, my next release is a doozy! Speaking of, tomorrow is Cathy's guest spot, please come check it out! This an A2 size card, that opens longways, makes it easier to get the punches all over/where you want them. 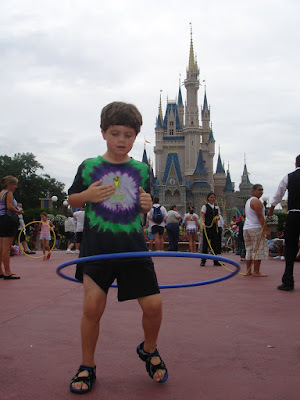 I used the large hole in my Cropodile and my SU! 1/2" and 1" circle punches for all the holes. I did this pretty quickly, just trying to get a random look but varying the sizes. I also went off the sides with a few. The image is colored with SU! markers, Koh-i Noor and and OMS, AND Copics! I sponged on a little Barely Banana ink with the Nestabilitie die still in place like a stencil to make the background to match my card base. 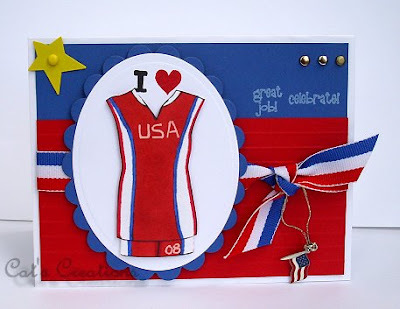 I added a layer of Apricot Appeal inside the card so that the holes would appear to have a little more depth and "pop". 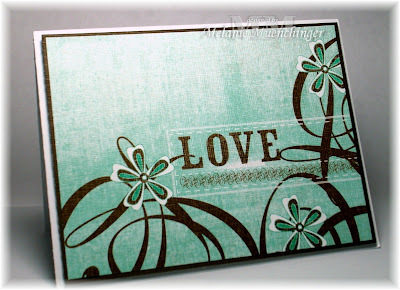 The curved sentiment in the set was fun to stamp around them, too! :) A more fun ribbon than plain white would have been good, but digging through my stash I just didn't have any that worked with these colors, oh well! I'm leaving town tomorrow, won't be back for days and days and no computer where I'm going!! But don't worry (not that you would), I have everything on autopilot here, though, so please keep checking back each day for new projects, and cut me some slack trying to get caught up on email when I return LOL! Talk to you soon! These clips were the inspiration for my color scheme, (I have such a hard time getting away from my favorite Red unless I'm smacked over the head with something else!) I was at my favorite Target Dollar Spot a few weeks ago and thought these light and hot pink and peachy berries and cherries were so summery and festive and perfect to go with the "Summer Harvest" stamps! I have to confess I'm not really reading Jane Eyre right now, just had to find something off the bookshelf that wouldn't look silly in my pic) :) Something I did read recently and highly recommend for the beach, plane ride etc: "No, I Don't Want to Join a Book Club!" by Virginia Ironside. It's been several months now since I checked it out and read it, but I think I'm going to go ahead and buy it, it was one of the funniest things ever, ( lots of insight and tender moments, too), kind of a Bridget Jones diary if Bridget were 60!! ) Warning, this woman can be very naughty, but she is a hoot! 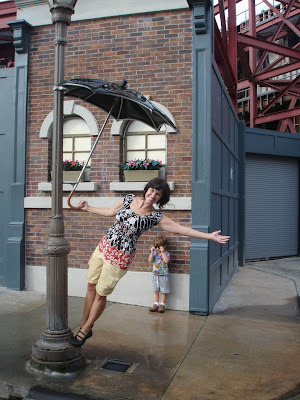 Weird things are up with my blogspot...!